Yes, we’ve been tempted away from open-wheel racing and into touring cars once more, but this time we had a better reason than usual. 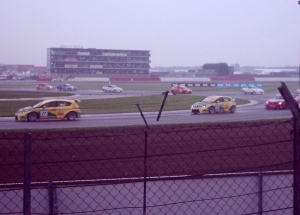 On Sunday we got to see the Silverstone round of the HiQ MSA British Touring Car Championship courtesy of Casio, sponsors of Jason Plato’s and Darren Turner’s SEAT Sport UK team, who were kind enough to give us tickets. It was a really instructive experience to watch some racing that might not otherwise have made it to the top of our viewing list, and to compare it with the open-wheel formulas that we’re more used to watching. Enjoying BMW driver Mat Jackson’s thrilling fight to second place in the first of the BTCC races  and his victory in the third. While SEAT’s Jason Plato, easily the series’ most high-profile member, dominated the opening wheel-to-wheel action on a spray-soaked track, his team-mate Darren Turner had trouble dealing with the Jackson onslaught and was eventually taken on lap 19. However Plato held on for a victory and another 10 points in his championship battle. Race two was a grudge match between Plato, Team RAC’s Colin Turkington and the series leader, VX Racing’s Fabrizio Giovanardi, until tyre issues forced the SEAT driver down the field into seventh. Giovanardi’s eventual victory left him with a 42-point lead and Turkington took second. The third race saw Jackson, who could do no better than 13th in race two, finally make his way onto the podium’s top step and Plato notch up the fastest lap. But third-placed Giovanardi finished the day with a 44-point lead and just two championship rounds left, to the great disappointment of all the SEAT fans present. The touring car racing was nail-biting stuff, every bit as exciting as the telly suggests it will be  a brilliant day’s racing. Get the full results here. Watching F3 driver Nick Tandy line up as a guest for his first Porsche Carrera Cup GB race  and win. 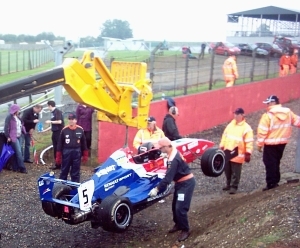 A high point of this race was standing at Copse as Tim Bridgman came spinning into the gravel there at the start of the third lap following an incident at Woodcote that saw him injure his car and spill coolant on the track. Pole-sitter Phil Quaife subsequently ran wide on that coolant, letting Tandy into the lead and on to an impressive win. The rapidly-approaching Bridgman caused numbers of supporters to back away very rapidly from the barrier. Amazingly, he got the car going under control and back out onto the track to finish on the podium in third. But Tandy’s victory was his only reward – as a guest driver, he was ineligible to score points and the maximum championship score went to second-placed Tim Harvey. Seeing championship leader Adam Christodoulou’s CR Scuderia Formula Renault car at close range  even it if was under circumstances that he certainly wasn’t happy with. He was in a position tie up the series with four more podiums, but things didn’t quite work out. In the day’s first race his luck held when Manor Competition’s Alexander Sims took victory after pole-sitter Adriano Buzaid, driving for Fortec Motorsport, lined himself up two consecutive drive-through penalties. Christodoulou came second  but then, in the first lap of the next race, he went straight on at Maggotts following contact with pole-sitter Jordan Oakes as the rest of the field turned hard right into the national straight. His car was well and truly beached and had to be recovered by a JCB. A terrible result for the driver but an unexpected bonus for nearby fans, especially two small boys who were completely unembarrassed about running over and peering into the cockpit as its angst-ridden pilot leaned against the barrier fence, wrestling to regain his composure before returning to the pits. Being reminded that there’s so much more to motor racing than Formula One. 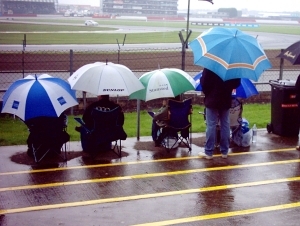 Like many motorsport fans, we tend to get so swept up in the F1 circus that was really good to get out to an event and be reminded that there’s a lot more going on than very dull street circuits, the future careers of a handful of drivers and hours of discussion about the future of one single, solitary race. This sense of perspective was probably the biggest thing we took away from the day. 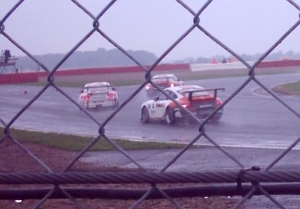 Categorised under Events, tagged under BTCC, Formula Renault UK, Porsche Carrera Cup GB, Silverstone.